Experts believe that Blockchain will go mainstream by 2020 and the Blockchain sector could be worth $7.74 billion by 2024. Now that I have the attention of investors who want to know where to put their money, Blockchain has been called the really interesting thing about Bitcoin. It’s a distributed ledger that was basically designed to handle reliable, secure and transparent record-keeping in a decentralized environment such as the one posed by some proposed concepts for the future of space colonization. 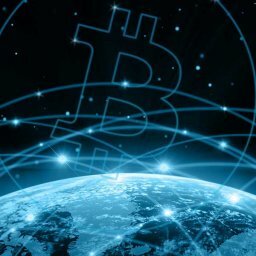 What makes the Blockchain a good fit for serious expansion into space? Despite some pushback from Blockchain insiders who say that an interplanetary economy won’t be a factor for quite a while yet, there are a handful of individuals who recognize that the Blockchain community and the aerospace community are natural allies. Jeff Garzik has even gone as far as to propose orbiting Bitcoin nodes. In ideal circumstances, both will be highly decentralized and members of each community can work together to keep it that way. So this is one promising element in the push for the Blockchain to go mainstream. Wise cryptocurrency and Blockchain insiders are no longer interested in alienating fellow technology sector professionals who could become allies. By getting a jump-start on forming alliances and steering the issue in the right direction, Blockchain insiders can ensure that they don’t get left behind when the interplanetary economy does become a thing. When discussing the current problems with the global economy, some people will try to convince you that the problem is money. They want to convince you that, if we did away with using a common medium of exchange, economic problems will disappear overnight. However, the problem isn’t money itself. The problem is a financial system that was never truly designed for a global economy. If set up correctly, Blockchain apps can fix that by not only addressing issues related to security and transparency, but also including all people who wish to participate on a level playing field. Blockchain technology has gotten the attention of entrepreneurs who have a stake in making sure that their supply chain isn’t being tampered with, for instance, because they do not want to lose money due to unethical, fraudulent or illegal activity that they had no direct control over. The Blockchain is capable of reliably flagging any shipment that isn’t logged as coming from a valid source so that the shipment can be investigated. This is obviously a good thing when counterfeit products have an economic impact of $650 billion every year and could actually put consumers’ lives at risk. Naturally, future space colonies will have enough trouble on their hands without having to worry about whether the hardware that was just launched might be counterfeit and dangerously flawed. This, of course, assumes that the hardware being launched is a brand-new space habitat that the colonists will rendezvous with later. It is true that these colonists will have very little use for banks once they are self-sufficient, but it is also true that colonies might fail if a corporation back on Earth cheated them. That means an automatic market for Blockchain-based supply chain apps, smart contracts, and reputation systems. If a colony did not receive what was promised, its members can log that as part of a hybrid Smart Contract and reputation system so that other future colonists will know that another entity that they might do business with didn’t deliver in that instance. Records on a Blockchain will always exist on the relevant Blockchain, cannot be altered in any way once they are created, and can be checked at any time because the Blockchain was designed to be transparent. That makes the Blockchain useful for future colonists who want a reliable way to store transaction records that can be referred back to later whenever needed. The important thing to remember in a case like this is that the negative parts of human nature, such as greed, are unlikely to go away anytime soon (short of, of course, giving up our carbon-based bodies), but the answer is not to blame it on an inanimate concept like a medium of exchange. The Blockchain may not entirely solve this problem, but can provide a reliable and tamper-resistant way to refer back to what happened when somebody steps on someone else’s toes and causes a dispute over it.